A Terrible Beauty… background to story. A Terrible Beauty... in this video, extracts from the film are intercut with commentary from the Producer Dave Farrell and Director Keith Farrell giving an insight into how the story evolved. A Terrible Beauty....... Is a 90/2x50 minute Feature docudrama set during the Irish Rebellion of 1916. It is a largely untold story of displaced young men, women and children caught up in a chain of events which would have tragic consequences leaving many innocent people dead. A Terrible Beauty...... is a 1x90/2x50 minute docudrama that tells the story of the young men of the Nott's & Derbyshire Regiment, the "Sherwood Foresters" who fought in Dublin and the Irish rebels who faced them. The British soldiers were the last of the Great War volunteers, they knew that there was a strong chance they would die in France but to die in Dublin would never have crossed their minds. Their opponents were the rebel Irish Volunteers, weekend warriors, many of whom had no clear idea of the carnage and destruction they were about to face.They marched along tree lined Northumberland Road, cheered on by the citizens of Dublin. One thousand men of the "pals" brigade of the Sherwood Foresters. Poorly trained and poorly led they expected to be in France that morning. Perplexed at finding themselves in Dublin instead, they laughed and joked as they marched along buoyed up by the cheers of their fellow British citizens. Within hours almost 200 of the "pals" lay dead or wounded, their injuries inflicted by just 17 men of the rebel Irish Volunteers. This was the Battle of Mount Street Bridge, Dublin, the 26th of April 1916. 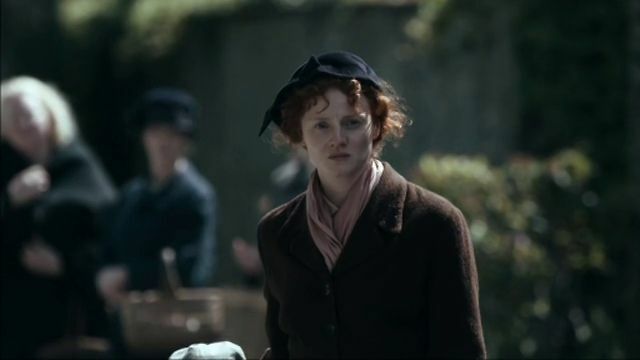 A Terrible Beauty/Áille an Uafáis ... a 93 minute feature docudrama is set during the Irish Rebellion of 1916. It is centered on two linked events during that Easter week, the battles of Mount Street and North King Street, culminating in the massacre of fifteen innocent young men and boys. For most Irish people Easter 1916 is a pivotal moment in Ireland's history when a small band of men and women took to the streets in open armed conflict, taking on the might of the British Empire. On that Easter Monday morning few of the Irish Rebels could have hoped to suceed in achieving the aspirations of an Irish Republic encapsulated in the Proclamation read from the steps of The General Post Office in Dublin and yet they risked all in an idealistic uprising. Focusing on two of the most ferocious battles that week on Mount Street Bridge and the area around North King Street this is the first film to tell the story from three different perspectives, showing the human cost of the fighting on all sides. By using first hand accounts to drive the narrative, we tell the little-known stories of the 'ordinary' people involved in the Rising; Irish Volunteers, British Soldiers and the innocent civilians caught in the middle. Mixing archive footage with dramatic reconstructions and first hand accounts it takes the viewer on a journey to the very heart of the conflict, giving them an up close and personal view of the often brutal and bloody fight which affected the lives of the men and women caught up in the chaos. The docudrama shot on HD Camera HD16:9 has been master graded to give the colours a dark muted look. Using actual first hand accounts, our characters will talk to camera as if been interviewed after the event and these sequences will be intercut with the drama, to add to the documentary “feel”. 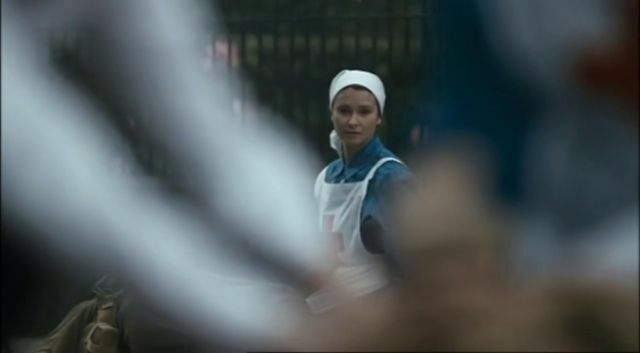 Existing archive has been used at the beginning and end of the programme to illustrate the major historic moments and establish the background story to the events leading up to the rising of 1916, with the scripted drama elements depicting key events in the rising and the actions of individuals. The story is built around eye witness accounts and the post war writings of the men and women caught up in the events of Easter 1916. 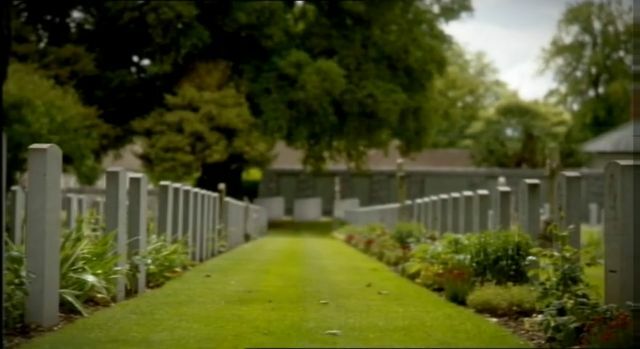 Quoting directly from both the Bureau of Military History and the Royal Commission statements our actors bring to life these long dead participants of the rising. A Terrible Beauty......, tells the story of the rising through the eyes of the ordinary people caught up in the very real drama that played out on the streets of Dublin in April 1916. The viewer is brought to the centre of what was happening to experience the heroism of the doomed, the futility of the deaths of so many on both sides of the conflict and the tragedy that befell the people of North King Street. Our docudrama perfectly fits the zeitgeist of the present day, when dislocated soldiers are often fighting and dying in a place they should not and did not expect to be, unsure of who the enemy is, and occasionally taking revenge on the civilian population.